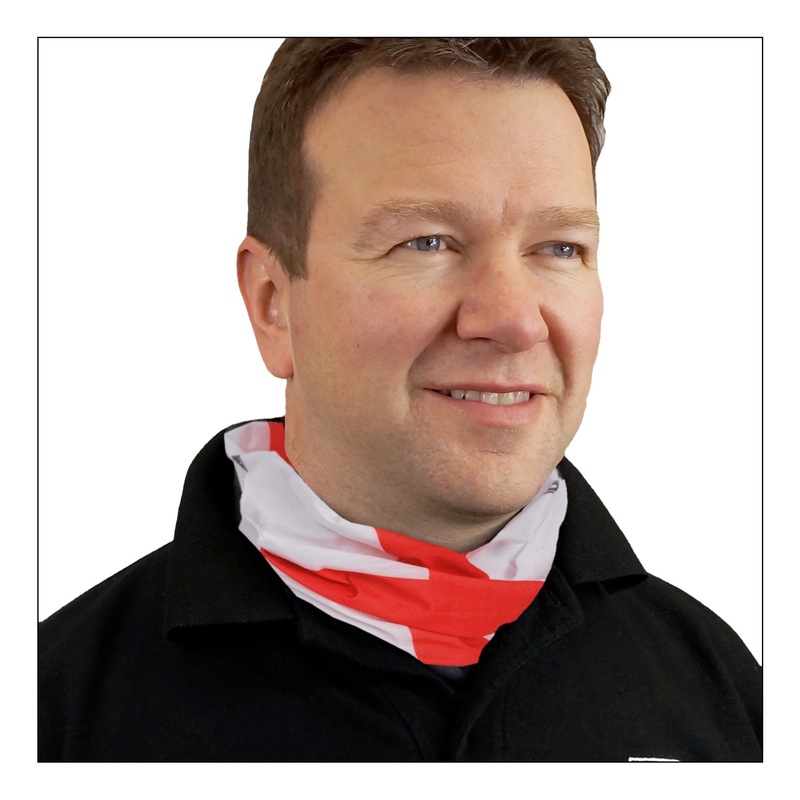 Our headover scarves are seamless and made using microfibre material with vertical stretch. 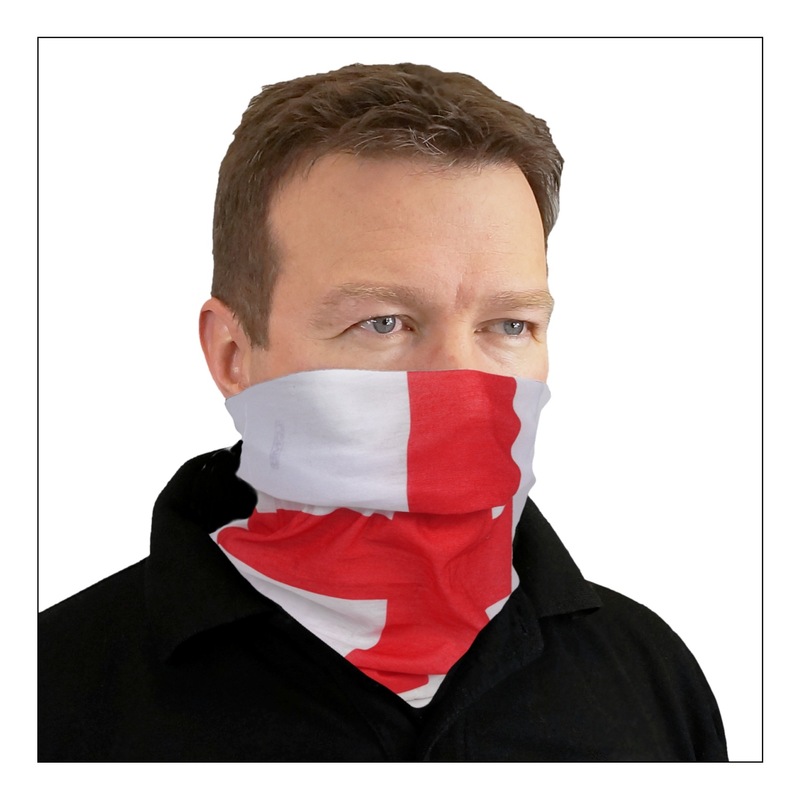 These headover scarves have all the features of the market leaders but at a fraction of the cost. 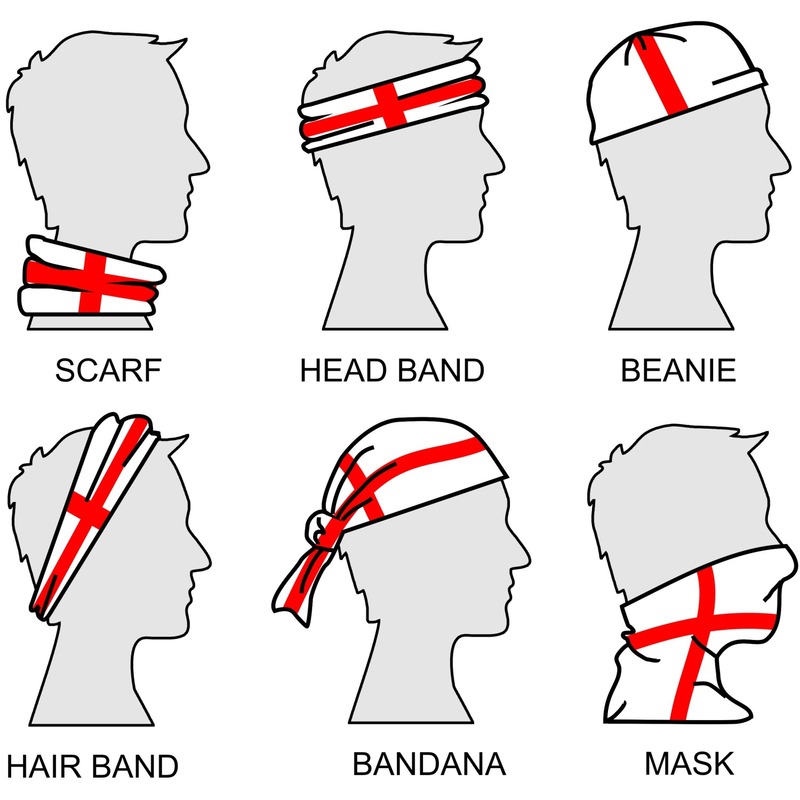 They can be used as a scarf, a beanie, a bandana and in numerous other ways. 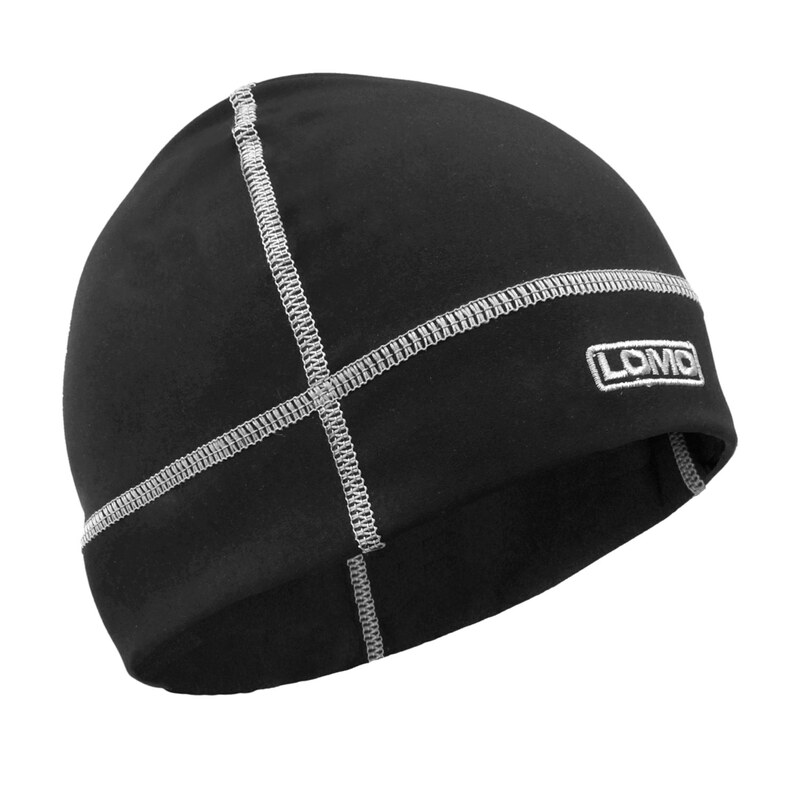 Popular with everyone from hill walkers to seakayakers and also very popular for use on a motorcycle. 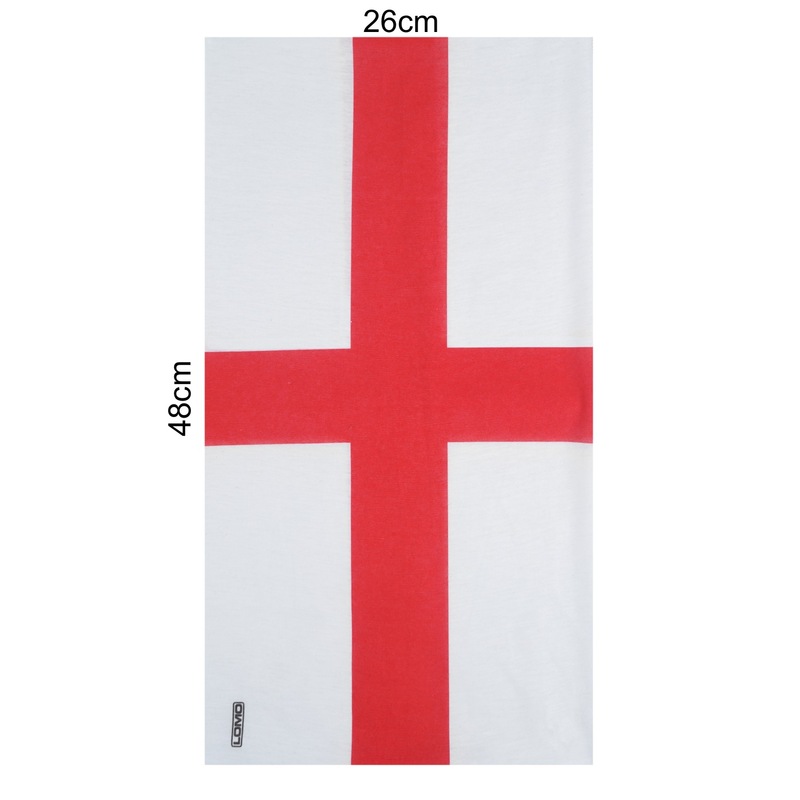 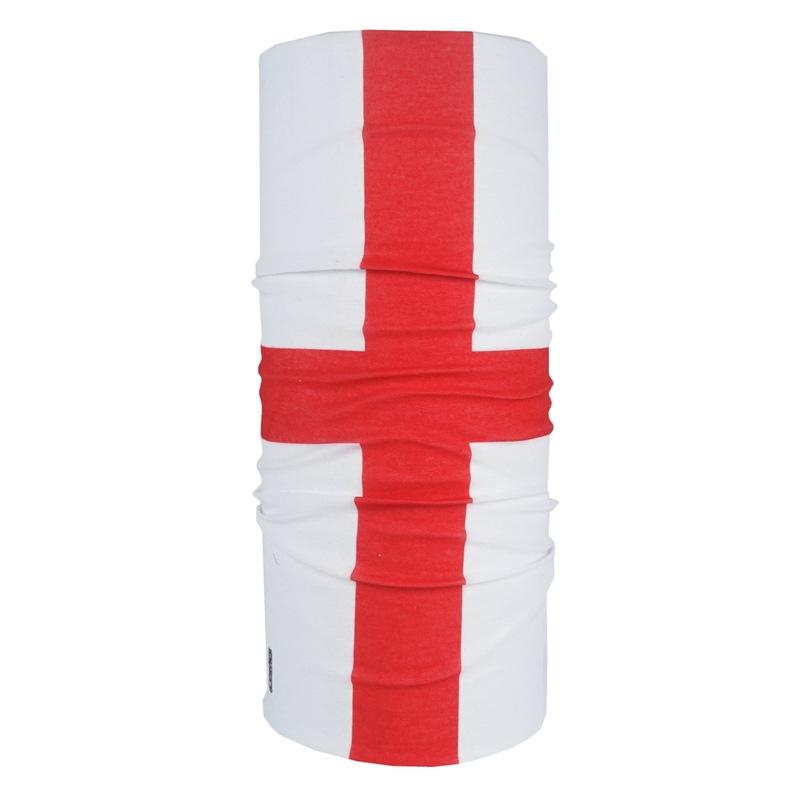 With the English Flag / Saint George's Cross design, these scarves are ideal for keeping you warm at sporting occasions or simply for those wanting to show a bit of patriotism while out on the hills.